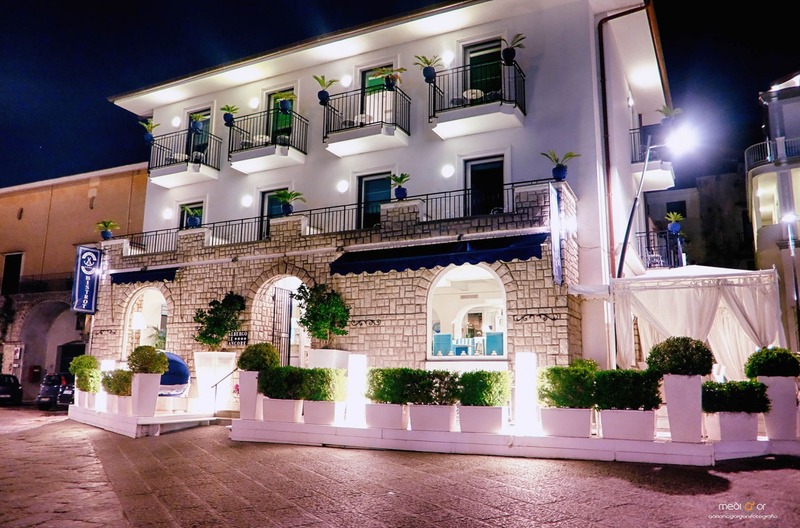 Boutique Hotel in Vico Equense overlooking the crystalline sea of Marina Di Equa. 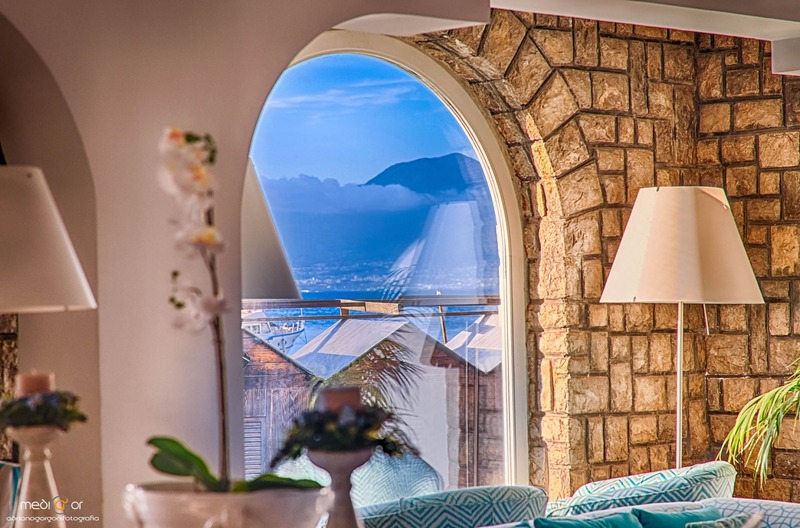 The 8 rooms have balconies overlooking the bay of Naples and Mount Vesuvius. 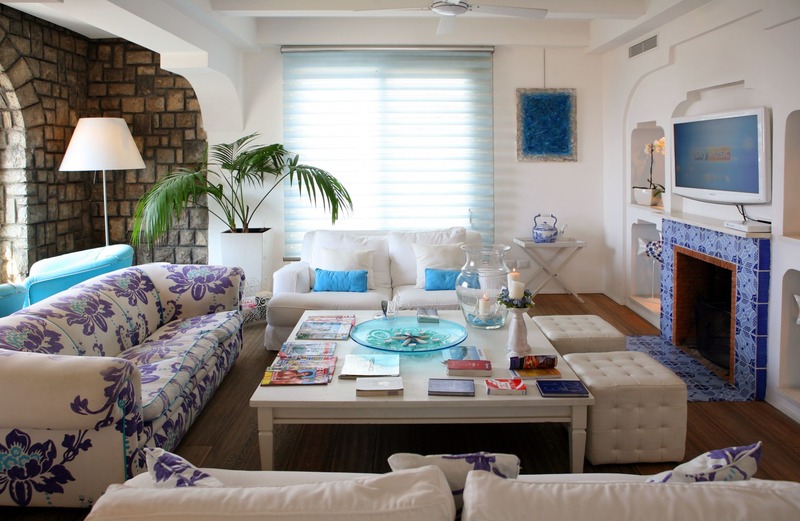 Its design and its colourful furnishings are inspired by the sea, the undisputed protagonist of this part of the Sorrento Coast. We have different kinds of rooms: standard, superior, junior suite and suite all with a balcony with an amazing sea view. It's impossible not to be impressed by the greatness of Vesuvio and the Napolitan gulf. In the hottest months you can enjoy our lounge bar & restaurant just in front of the sea on the charming terrace with a small jacuzzi tub and the amazing view of the Neapolitan gulf and Vesuvius. 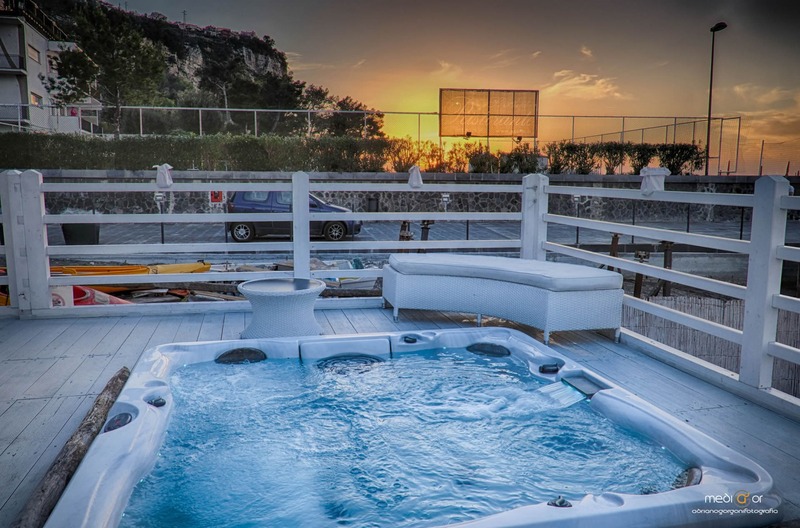 PN: the jacuzzi tub is available during the opening times of the Restaurant & Lounge Bar. Included in the price just in front of the hotel at the Seiano harbour, there is a private beach with sun beds and sun umbrellas to enjoy and relax.